Paul and Pat Krogman will celebrate their 60th wedding anniversary on April 12. 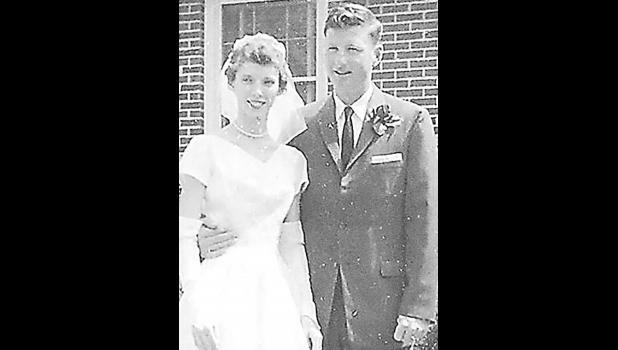 The couple were married April 12, 1958 at St. Dominic’s Catholic Church in Holton. Paul’s parents are the late Martin and Clara Krogman, and Pat’s parents are the late Guy and Adaline Grannell. The Krogmans have two children, David Krogman and his wife, Jo, and Carolyn Cochren and her husband, Luke. The couple has six grandchildren and nine great-grandchildren. They lived on a farm in Birmingham for most of their married life and have lived in Holton since 2013. Paul was a postal worker and farmer, and Pat was a homemaker and helped on the farm. The couple’s children are hosting a small family gathering to celebrate the anniversary. Cards can be sent to them at 658 W. Fourth St., Holton, KS 66436.